Private shore tours visa-free in Saint Petersburg from 89 USD – visa-free, no waiting in lines! Arriving to St Petersburg by cruise ship? Great! You will have a wonderful chance to see one of the most beautiful cities in the world without getting any Russian visa in advance. Booking St Petersburg visa-free private shore tours is much easier than you think. When you book your private shore tour with me, as a bonus I organise for you free tour tickets which allow you to pass immigration office and enjoy your sightseeing in St Petersburg.You can book half-day, one, two and three-day tour programs. I will design private shore tour itineraries to meet your budget, time, interests and group size. Just let me know when you arrive and what you would like to see in St Petersburg! 1. To provide you with free tour tickets all I need from you is to send me scanned copies of your passports and the ship name via e-mail.Once the tour tickets are ready I am sending them to you and you print them out. 2. At the immigration office in St Petersburg port you are to show: passport, printed tour ticket which I provide you with. 3. I will meet you (or guides Anna and Irina) as soon as you pass the passport control.You will see the sign with “your name” so it will be very easy to find me. A car or minivan will wait for you a few meters away, just outside the terminal. How to book a private shore tour? Please have a look at the shore tours itineraries I have specially created for cruise line passengers. This two day program covers ultimately most important St Petersburg sights and attractions. Feel free to e-mail me and discuss the details of your shore tour or to make any changes that will suit your needs, interests and budget, carefully crafting your very personalized itinerary according to your wishes. We can plan a hassle-free and meditative tour or in super intensive, cultural marathon style visiting all museums and palaces and churches of St Petersburg in one day. Maybe you have always dreamt of enjoying the famous Russian ballet “Swan lake” from the Tsar’s box or really really looking forward to see walking bears on the streets of Russia? Share with me what you like, what excites you and we will come up with the ideas and suggestions how to make your private tour in St Petersburg at its best. 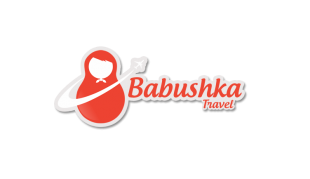 – Babushka doll magnet gift for everyone! Doesn’t include: cost of the evening program and lunches.